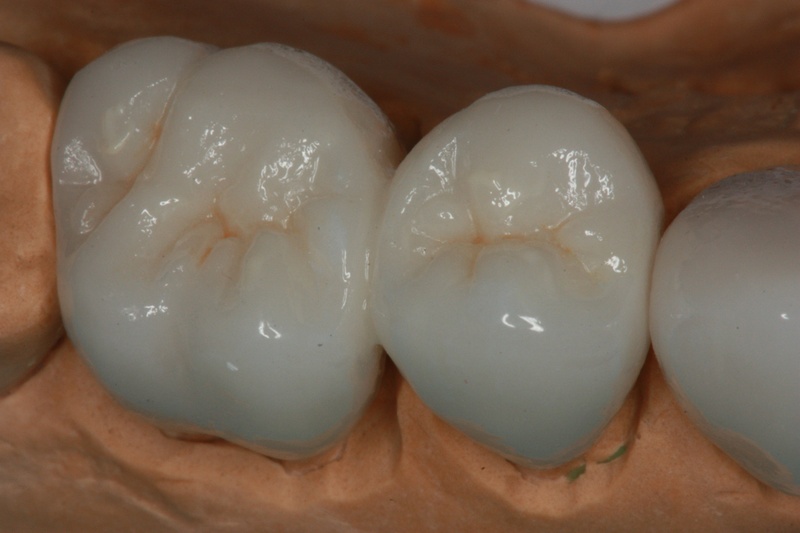 There are many factors that can influence a crown such as: materials (all porcelain ceramic vs a porcelain metal vs gold), the laboratory technician, and the skill of the dentist. 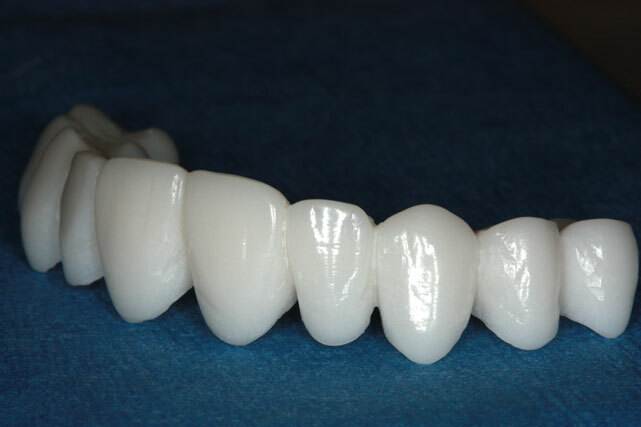 Our goal is not to just give you a crown, but to deliver a product that mimics nature itself and has the esthetics and beauty of a natural looking tooth! 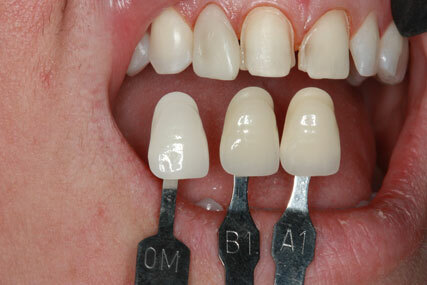 Dentistry is an art and we set the bar high for our level of satisfaction. 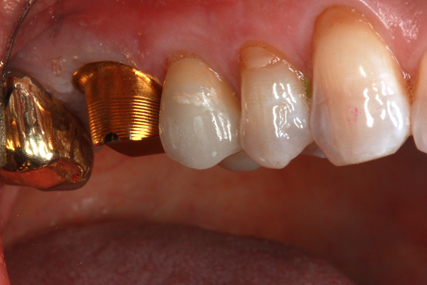 Some places may advertise a crown the same-day, but we’re not that type of office. 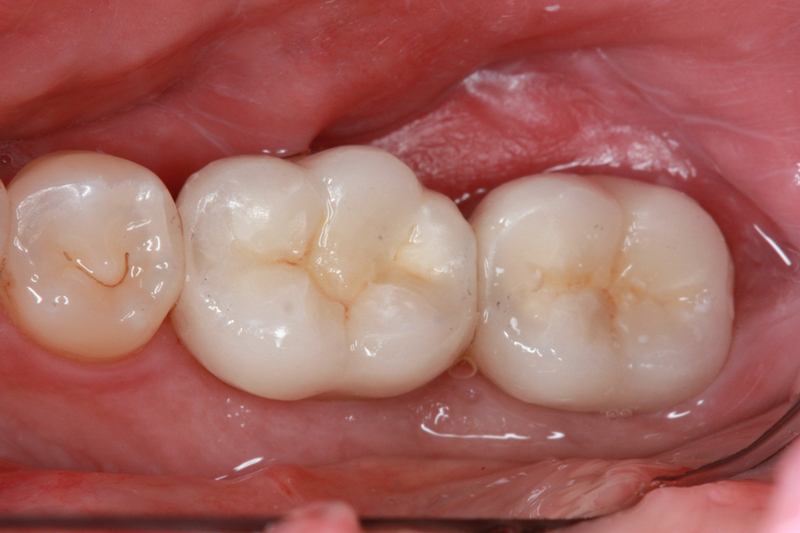 We want your crown to look and feel amazing so we send it out to a laboratory where a skilled certified lab technician will spend the time to carefully craft your tooth. 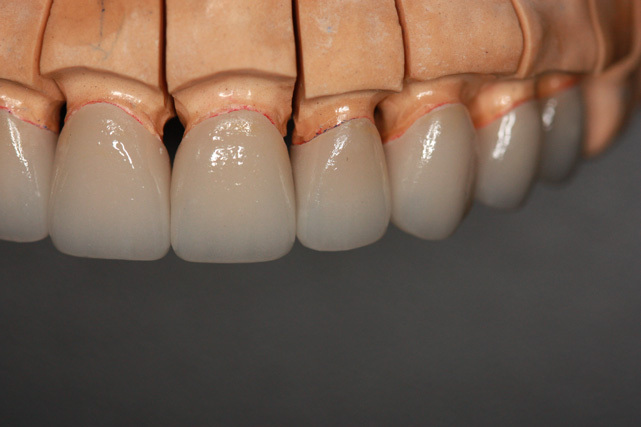 This means adding layers of porcelain, adding translucency and character. 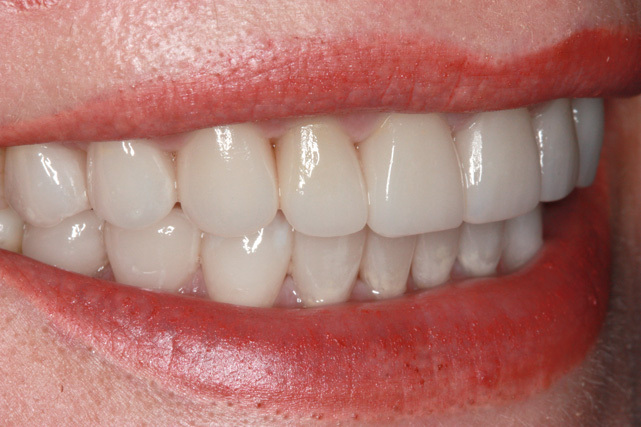 Each tooth has multiple shades, that is why we select up to three levels of shades per tooth to make sure we get that perfect match. 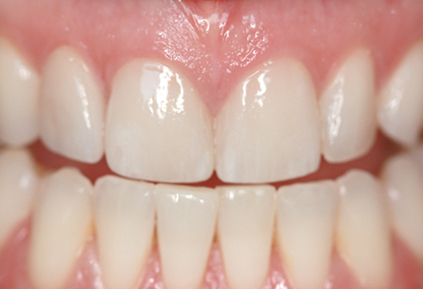 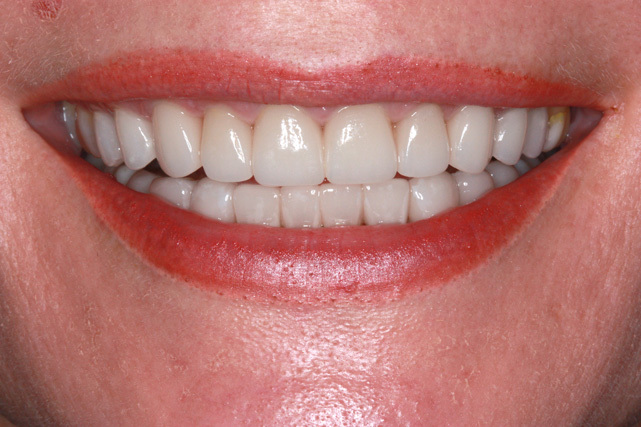 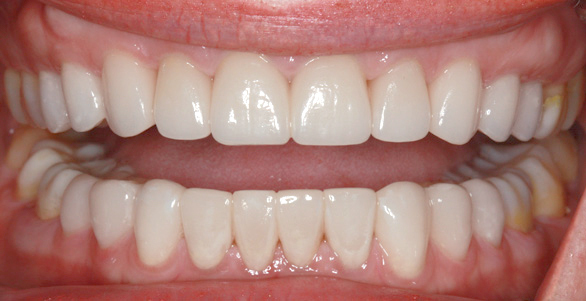 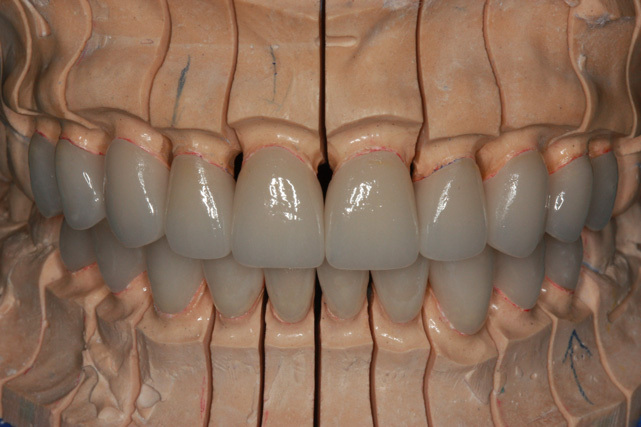 When it comes to materials, we do everything we do everything we can to make your tooth look like a tooth. 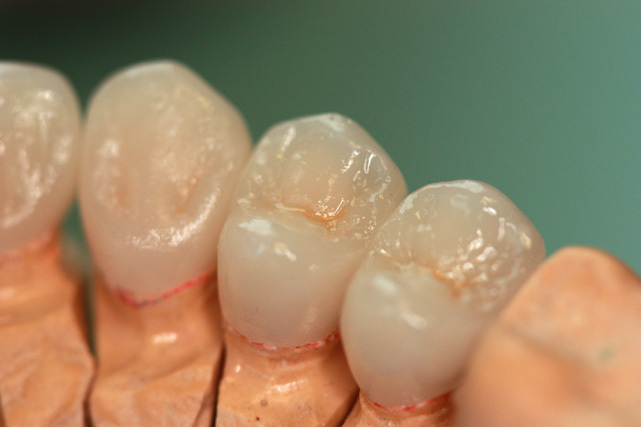 That means using materials and products such as Emax and Atlantis for our custom abutments that have been proven by research and literature be both strong and esthetically pleasing. 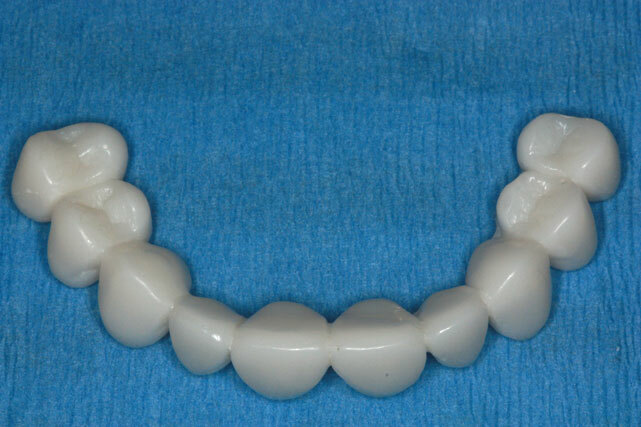 Lets face it, some laboratories will cut corners to save on costs and thus provide an inferior looking crown or use a weaker material that may be prone to fracturing or chipping. 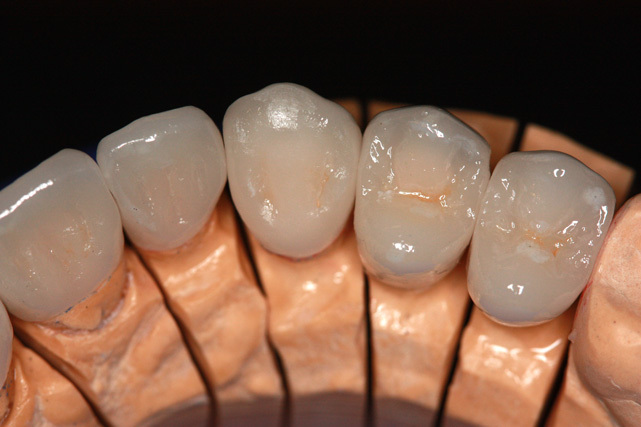 We want our crowns to be an improvement over what was originally there. 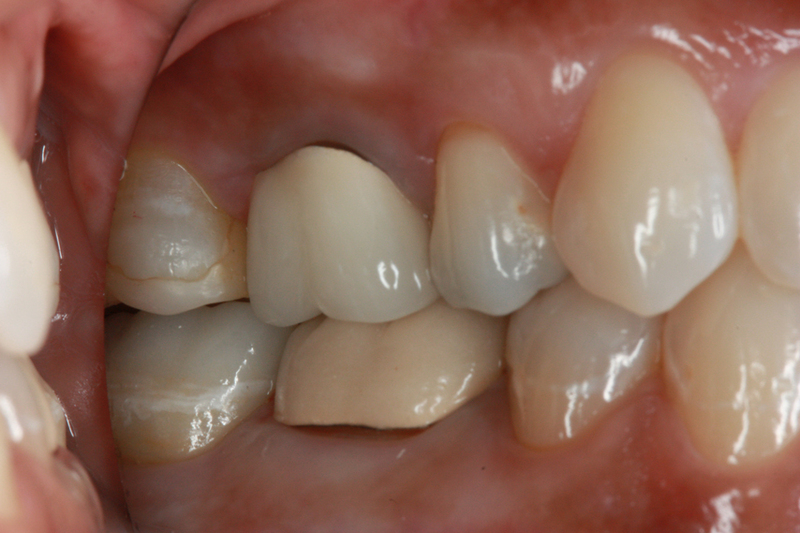 Note: The last tooth is a crown recently done, compared to the older crown in front. 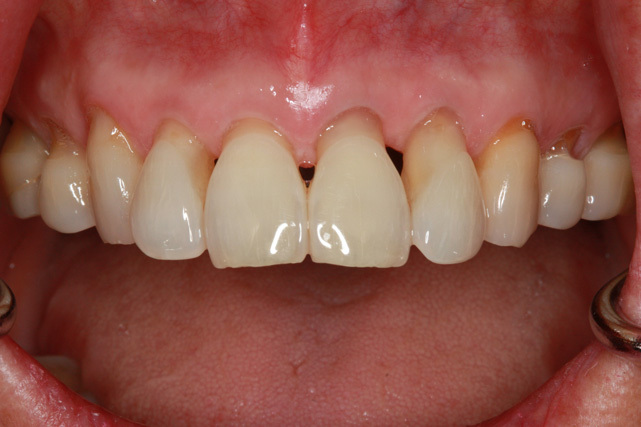 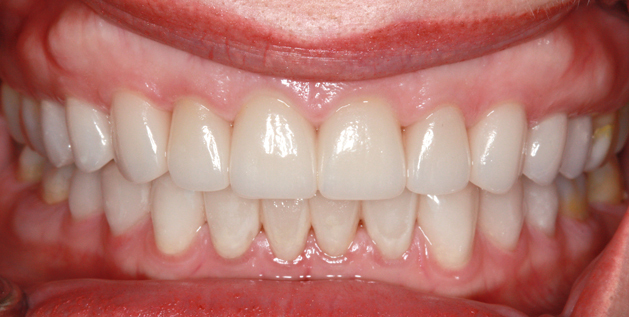 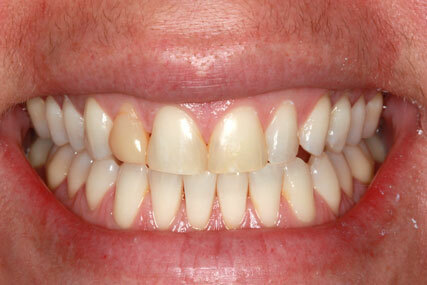 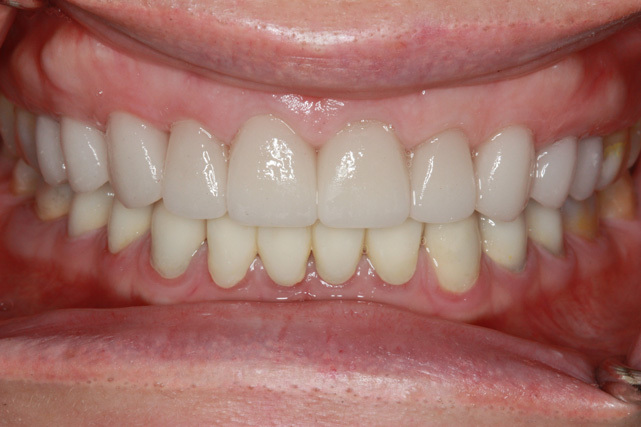 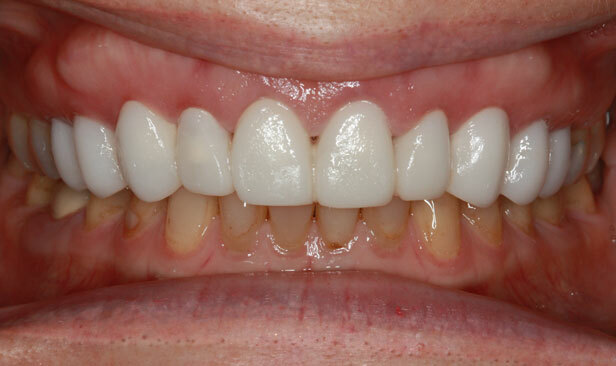 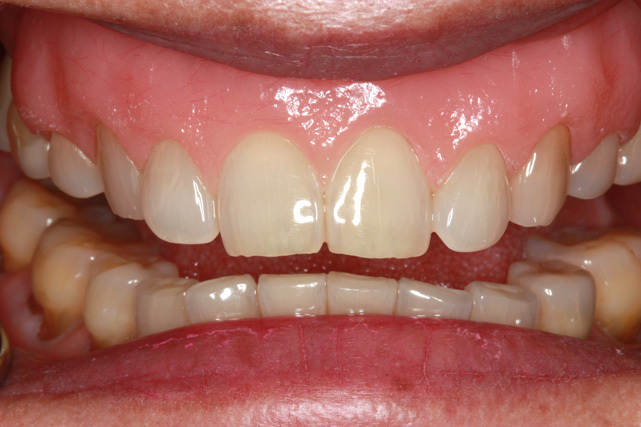 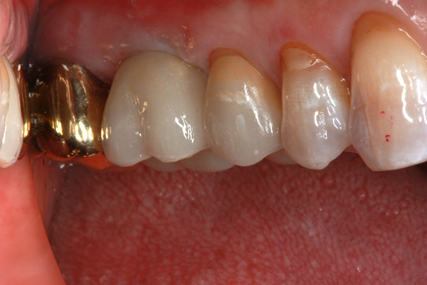 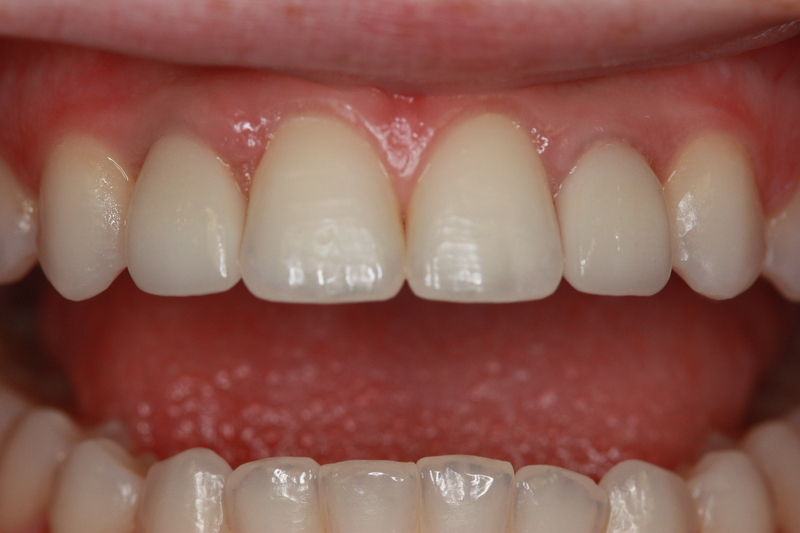 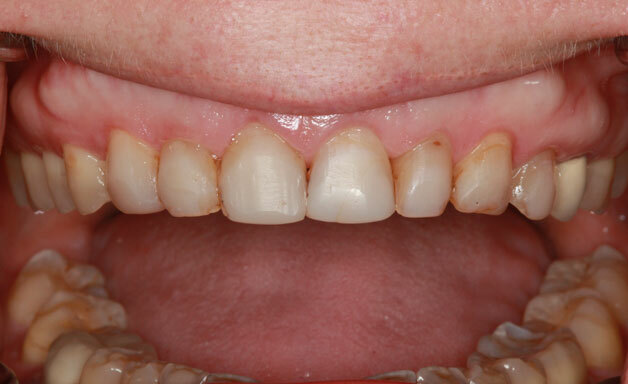 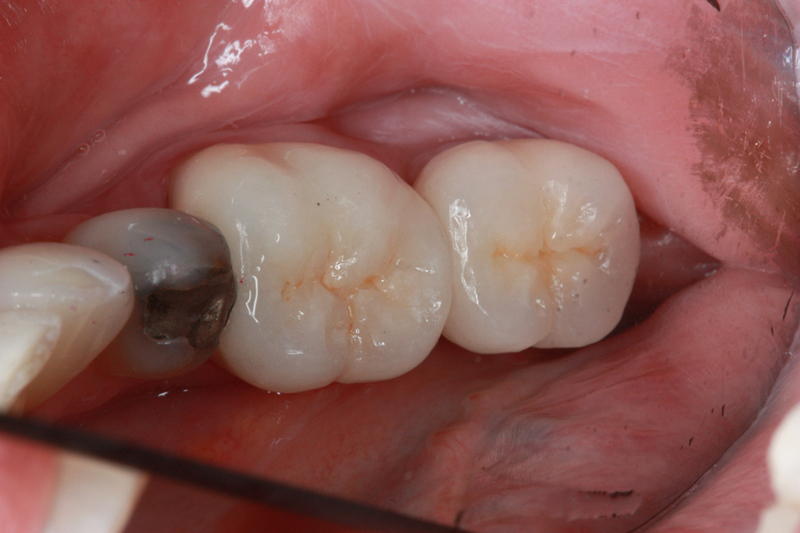 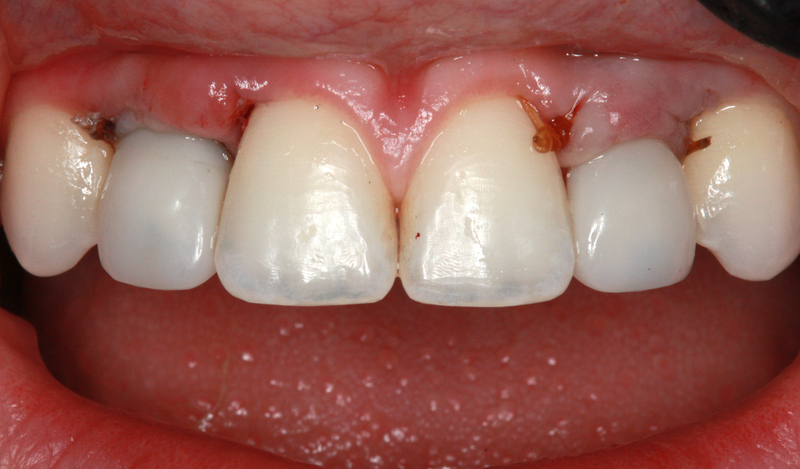 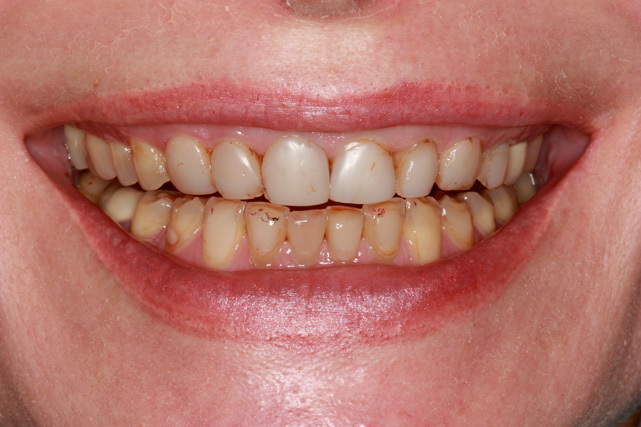 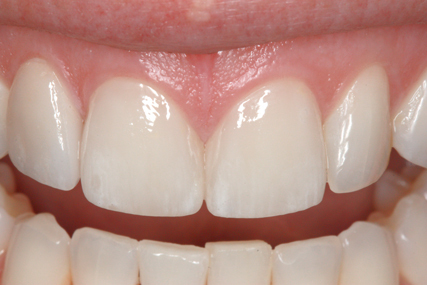 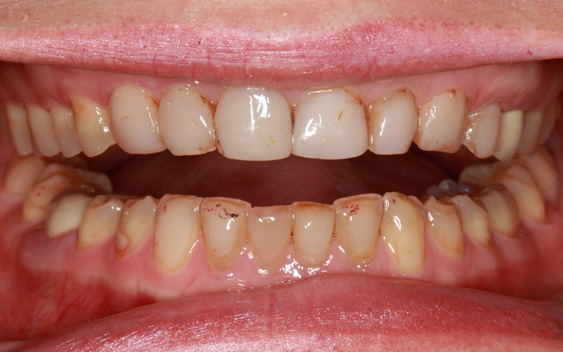 Note the characterization and detail added on the side to match the characterization of the patients natural tooth. 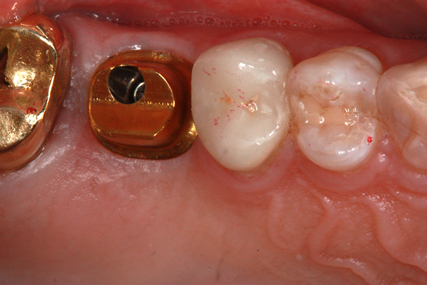 To achieve optimal tissue manipulation, management begins at second stage once the implants are exposed. 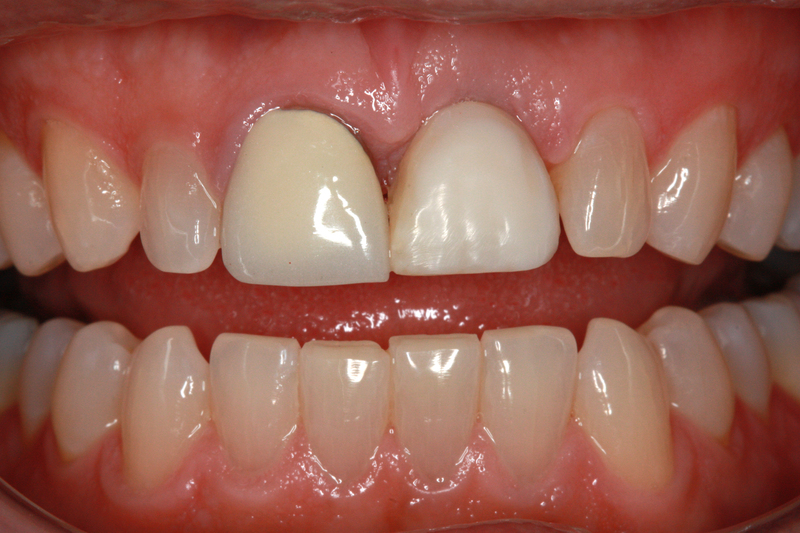 This allows for optimal healing, particularly around a provisional implant restoration to help mold and shape the tissue early on. 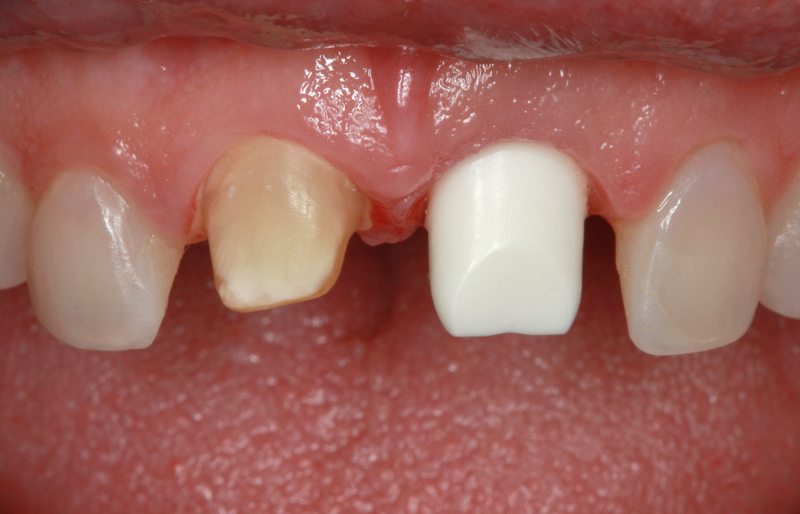 A provisional restoration will help create a more natural emergency profile than a typical healing cap. 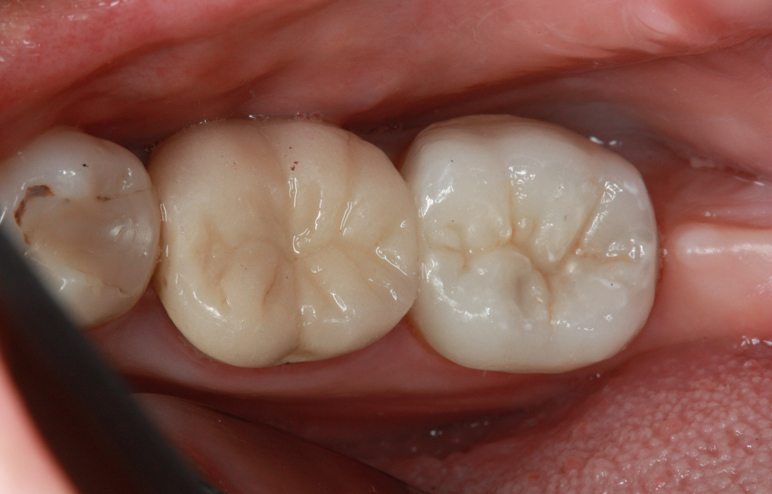 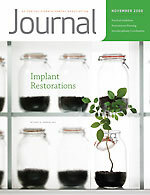 In addition to anterior implant restorations, tissue management in the posterior is also recommended. 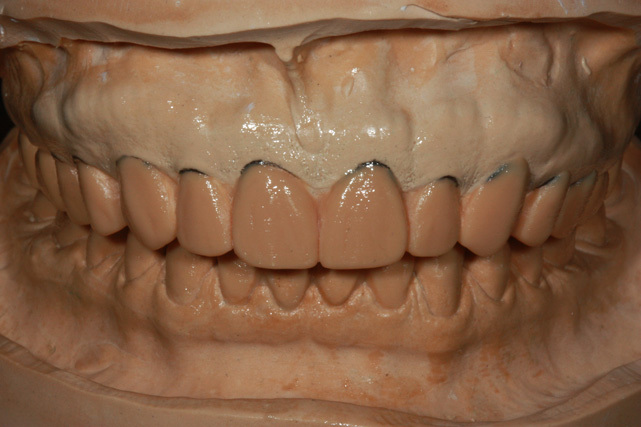 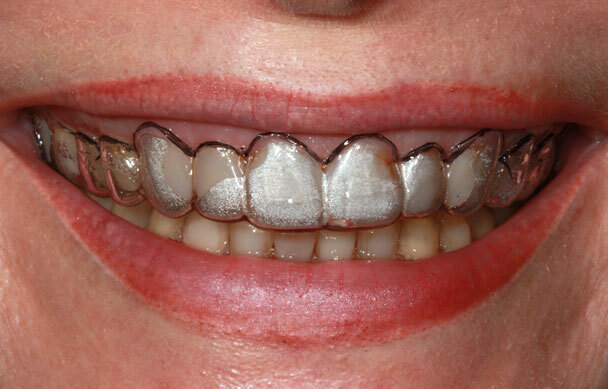 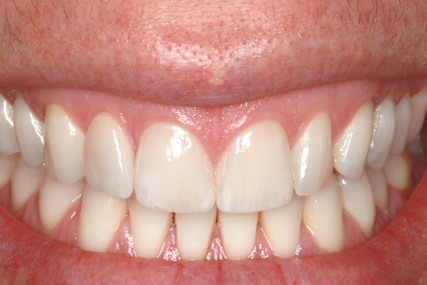 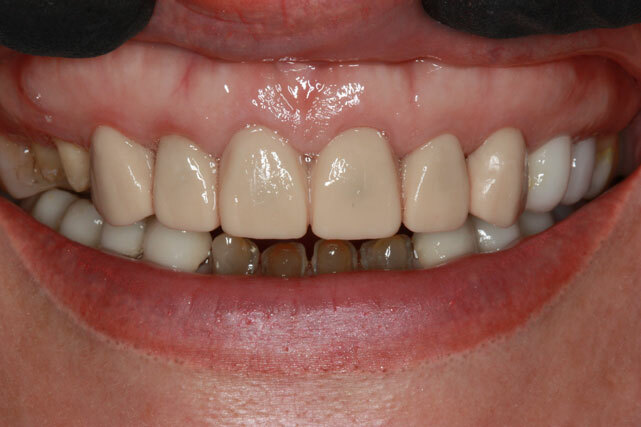 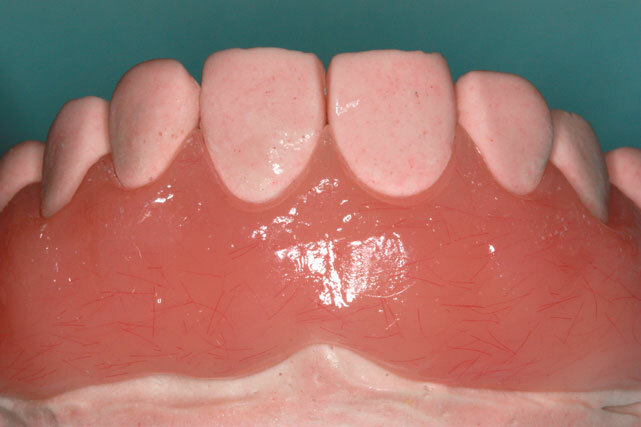 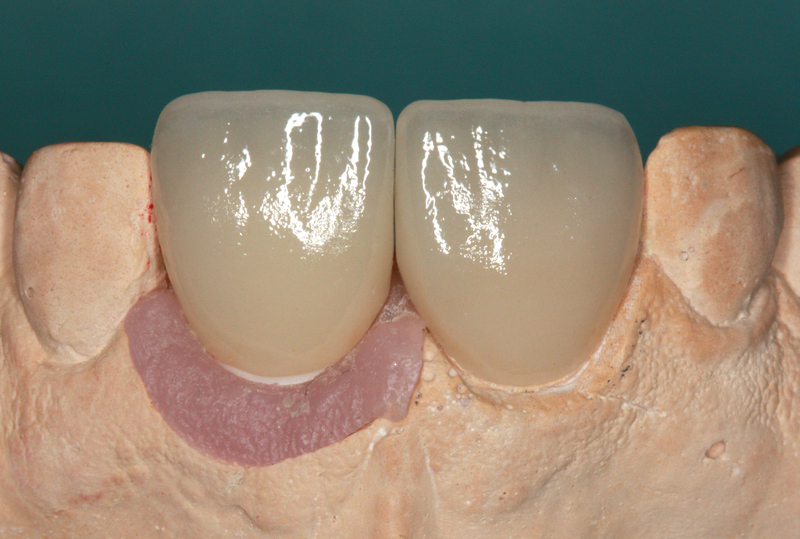 It allows for better hygiene around implants through the use of a custom abutment. 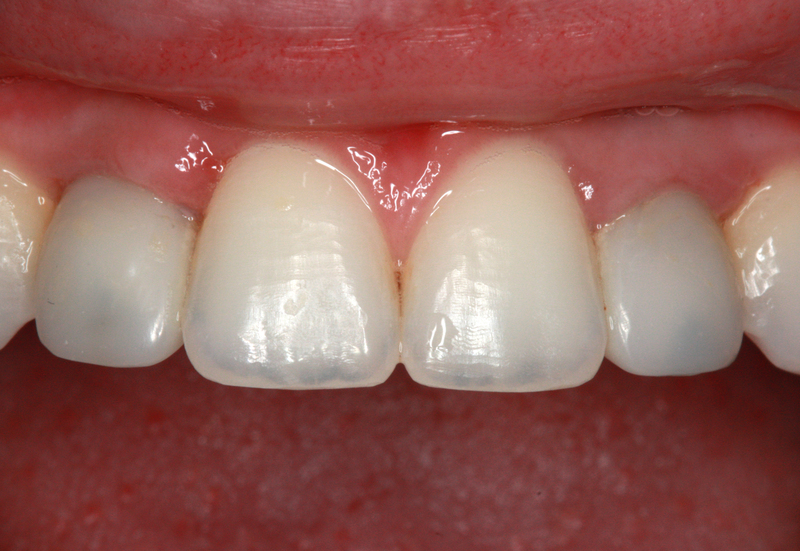 Provisional restorations after 2 weeks. 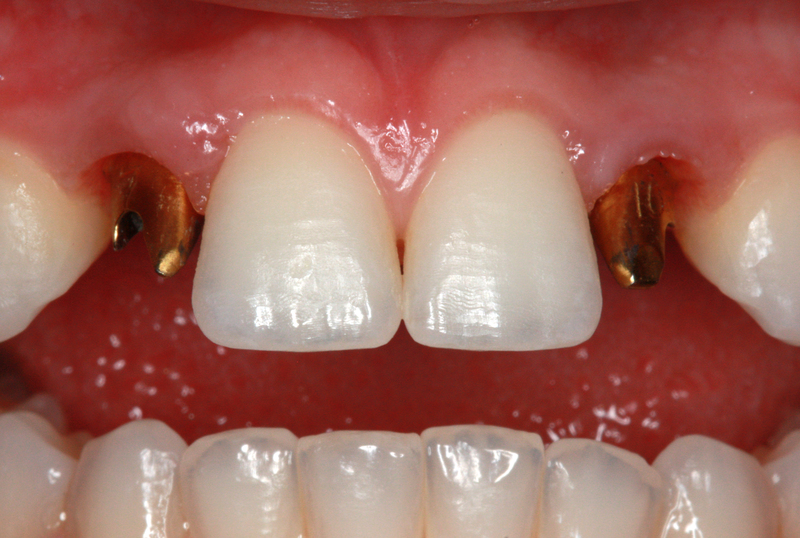 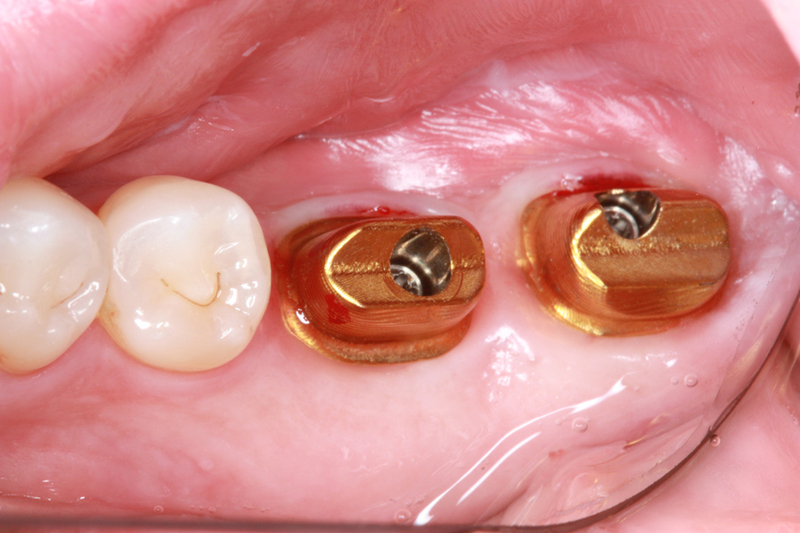 Gold hue custom Atlantis abutments from Dentsply were used in combination of layered Emax HT crowns.